This week’s theme for our final #craftyfallyall project is glass! 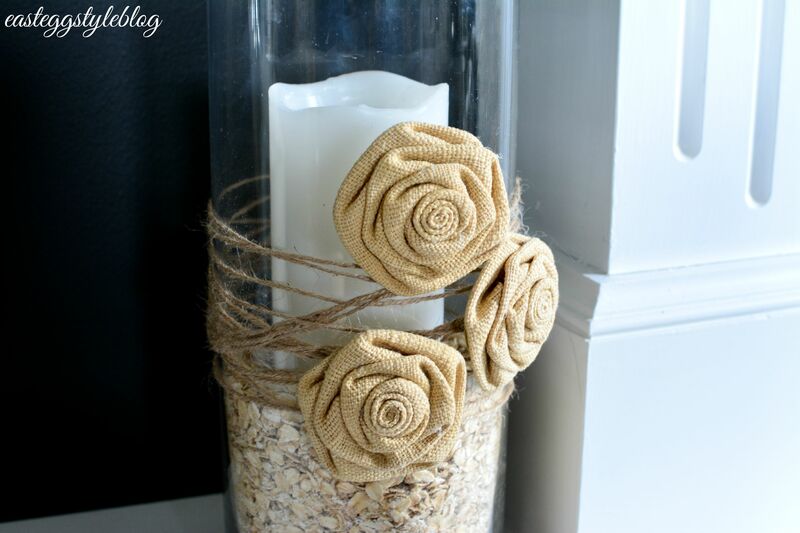 This little project cost me a total of $6 (I had everything except for the burlap flowers). 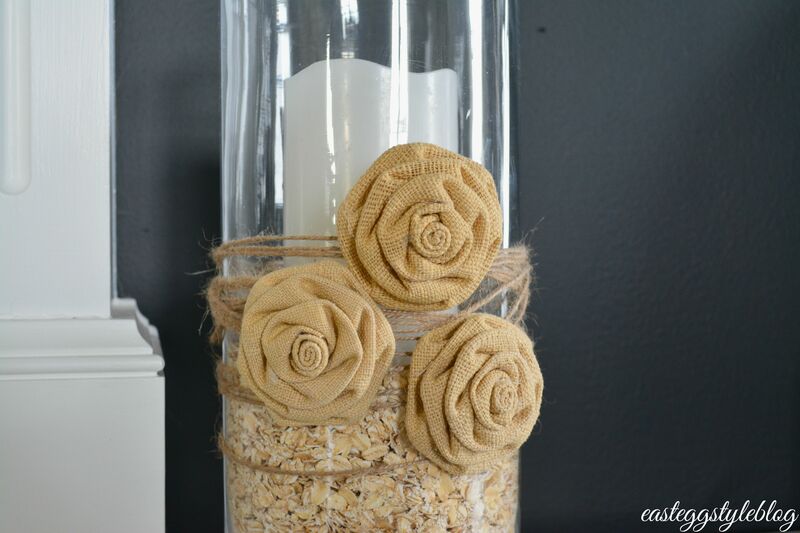 I used glass hurricanes, oatmeal, twine and burlap flowers. 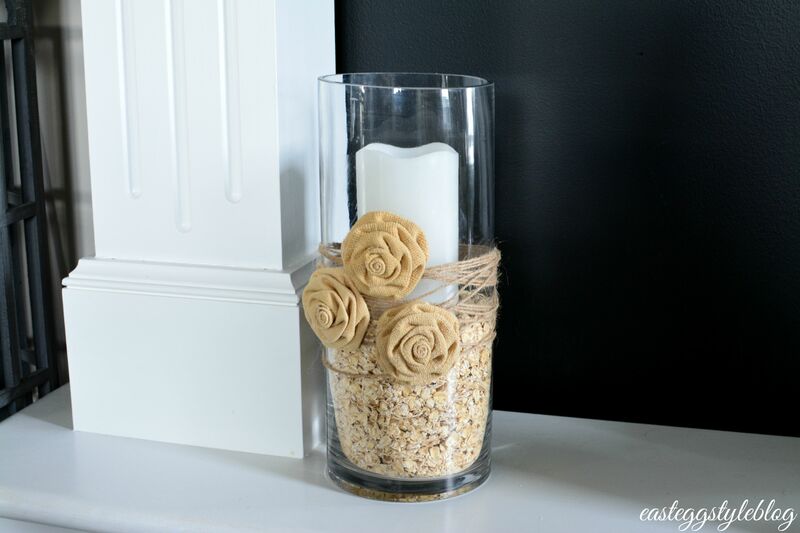 This inexpensive and quick project was perfect for my budget, and time constraints. I’m all about using things I have laying around my house to decorate, and that is exactly what I did for this week’s project! 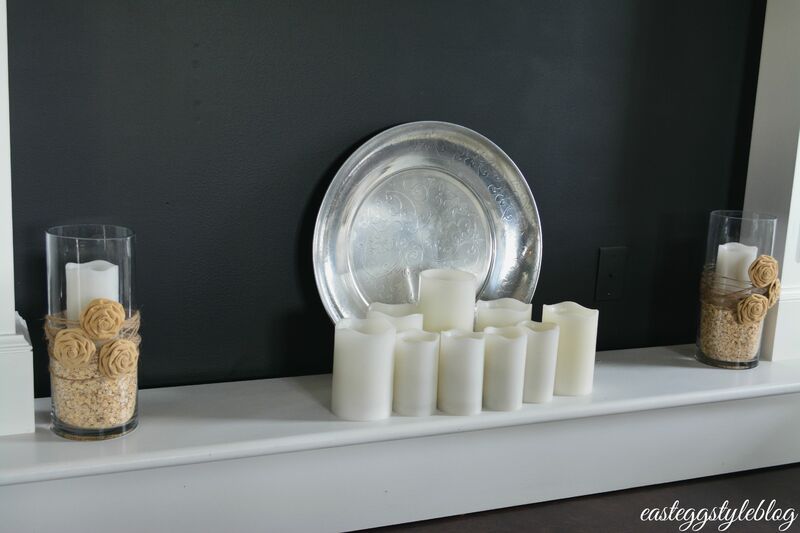 I’m all about the neutrals, so these cute fall candle holders were the perfect finishing touch for my fall mantel. I have had so much fun with this series, and it has pushed me to continue making things for our home – despite with my busy schedule! It is possible to do it all, you may just have to simplify things a bit. 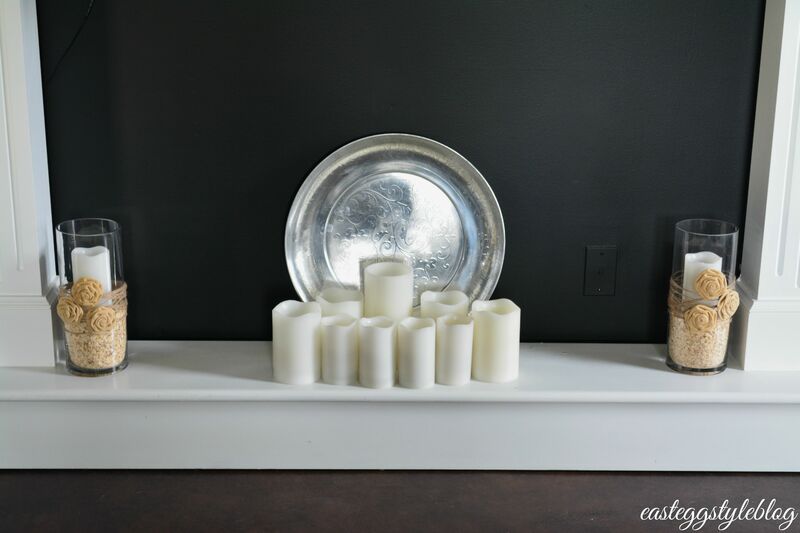 Love that sweet candle holder…..great job! How cute! 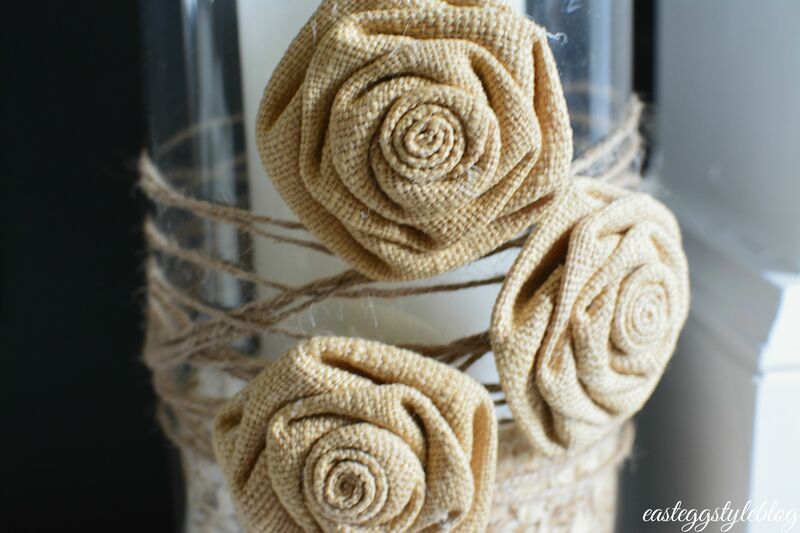 I love anything with burlap and this is so original- great job!